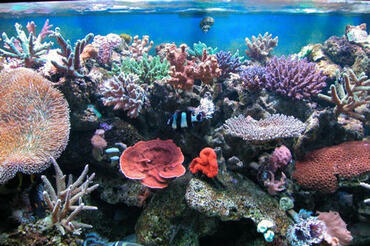 Have you ever been snorkeling in the ocean or seen a thriving saltwater tank at your local zoo or aquarium? 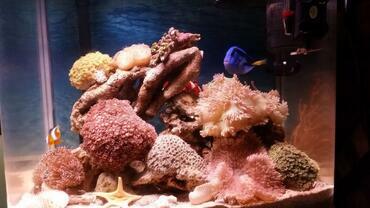 There is just something about a reef environment that seems so vibrant and alive. 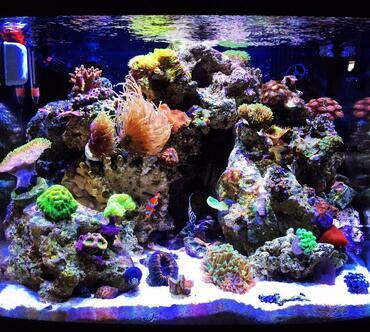 If you want to experience this beauty every day, consider starting your own reef tank at home. 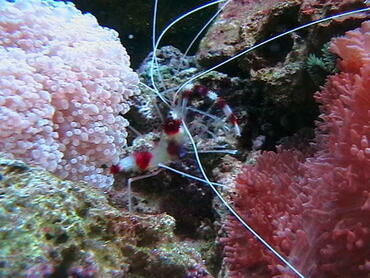 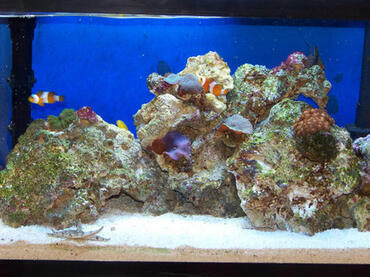 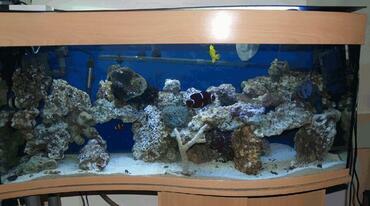 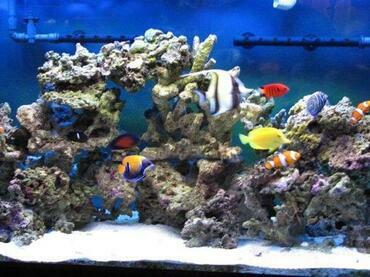 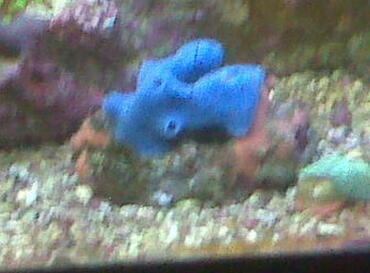 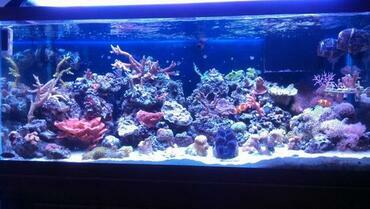 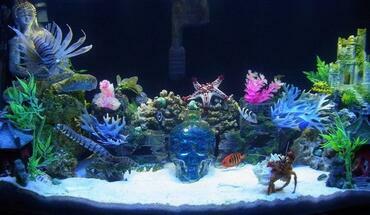 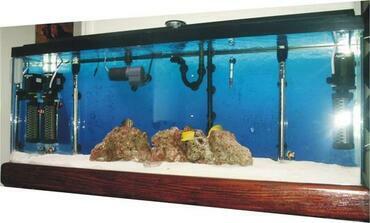 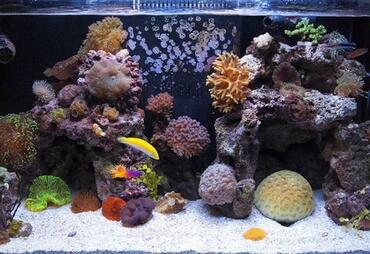 A saltwater/reef aquarium is an oceanic microcosm in your home. 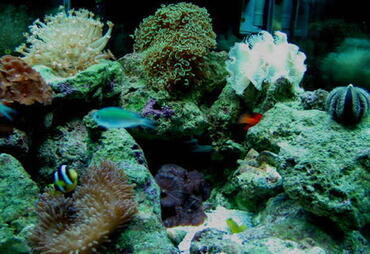 It needs to be ecologically balanced in order to retain its natural beauty. 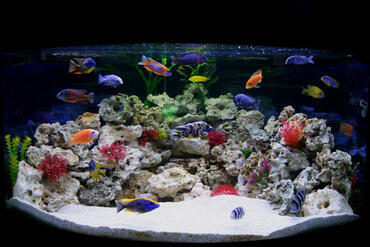 Too many fish, incompatible fish and a variety of other factors can ruin the stability of your tank's eco-system. 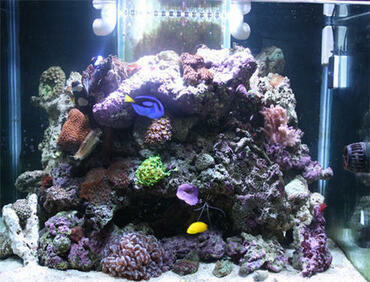 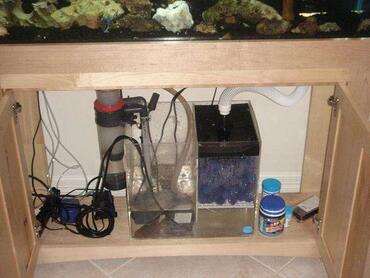 In this article, we offer some guidance on correctly stocking your reef aquarium. 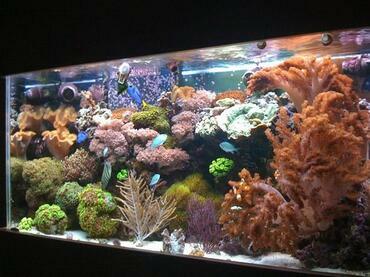 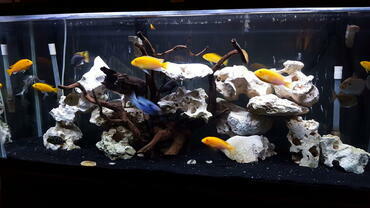 How Many Fish and Corals? 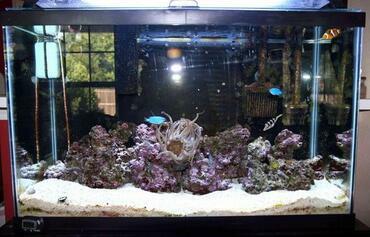 For small to medium fish, the rule is 2" of fish for every 10 gallons of tank capacity. 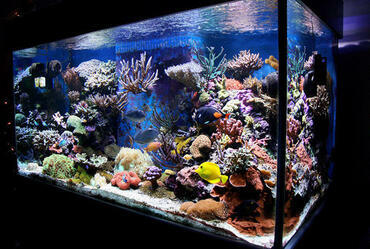 For medium to large bodied fish, the rule is 1" of fish for every 10 gallons of tank capacity. 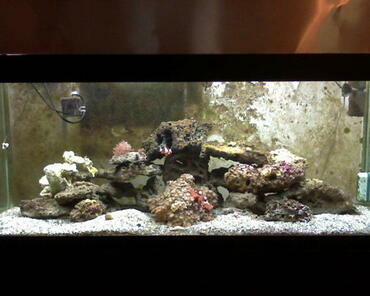 the actual volume of the tank once you have added aquarium equipment, rocks, sand, plants, ornaments and so forth to it. Always base your rule of thumb calculations on the adult size of the fish, not on the juvenile size (which is how many fish are sold). 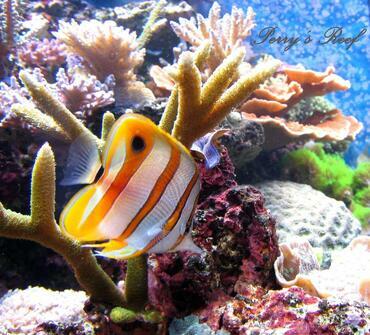 If you will be introducing juveniles, make a point of finding out how big they become. 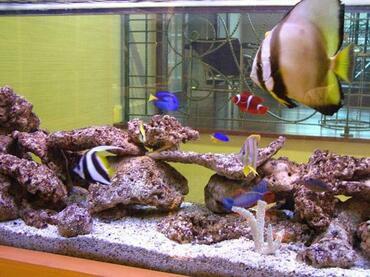 If you are introducing mature fish, measure the fish from the base of its tail to its head. 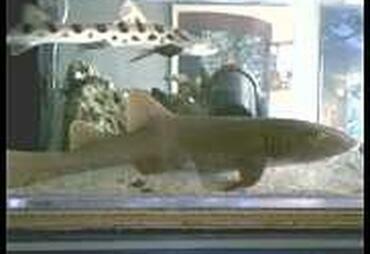 You never include the tail when measuring. 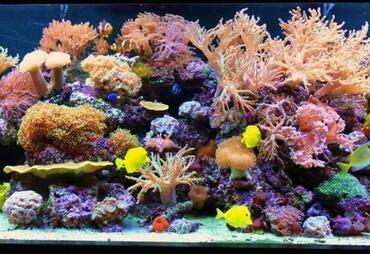 Corals are a little different in that you can control the size of most corals. It is a good idea to decide beforehand how big you will allow them to grow. When stocking your reef tank, the size of your fish and the number of fish you choose are the most important factors to consider. 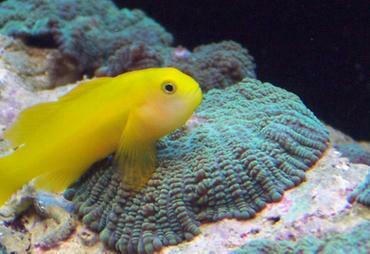 These are not the only things you should think about, however. 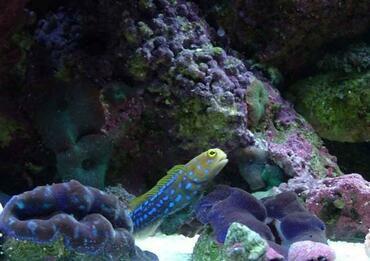 Other factors you need to consider in stocking your reef tank include behavioral compatibility and habitat compatibility. 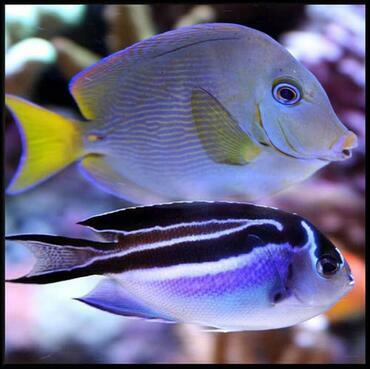 Behavioral Compatibility -All fish are predators to a greater or a lesser degree, and any fish - regardless of species - will be assertive or aggressive when it perceives the need to protect its territory, itself or its mate. 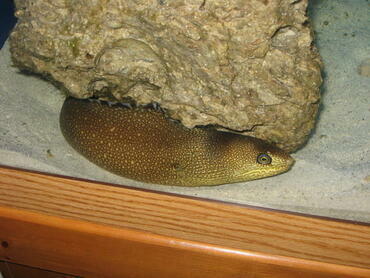 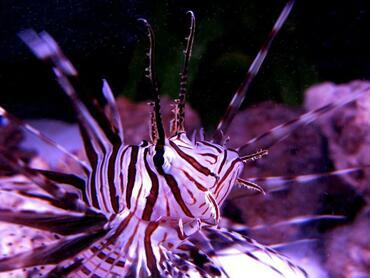 Highly predatory fish such as the Lionfish and Moray Eels should be kept in a separate tank from smaller fish. 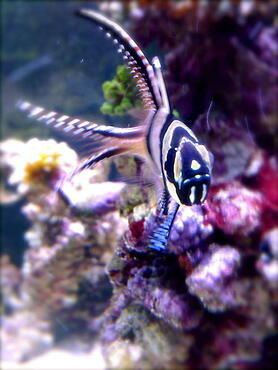 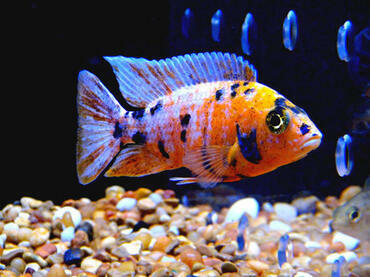 They are natural hunters and will cause devastation if you place them in the same tank as smaller fish. 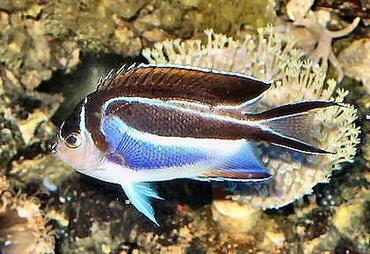 New fish that are introduced into a settled aquarium community will usually be at the receiving end of aggressive territorial behavior, no matter what the species or type of fish. 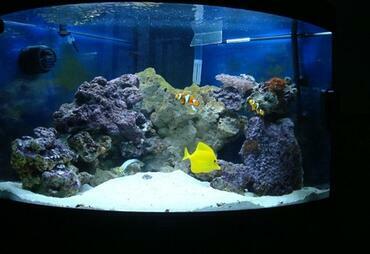 These disputes are natural and once the territories are re-established, the fish normally settle down. 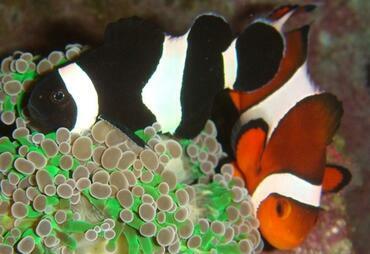 It is important to have only one pair of any mated species of fish. 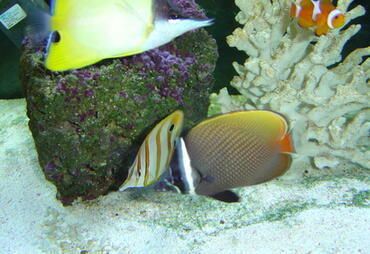 All mated species, including Boxfish, Angelfish, Clownfish and Butterflyfish feel threatened when the same gender of their species is introduced to the tank and will attack as a result. 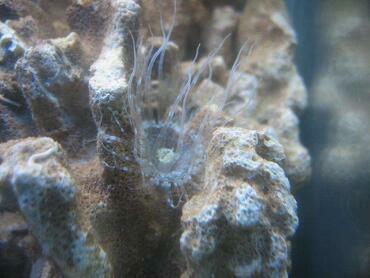 If unavoidable, make sure that there is ample space and sufficient 'hiding places' for the new fish. 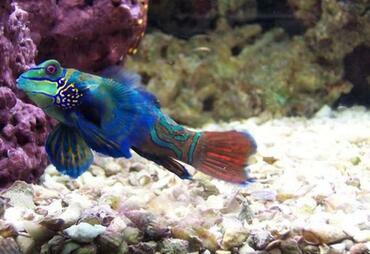 There are a few things you can do to minimize aggression. 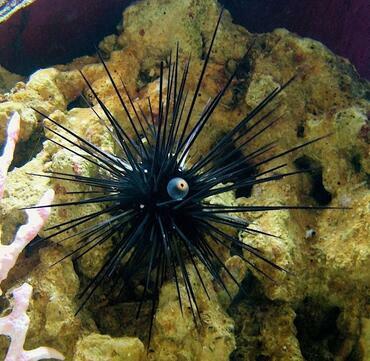 The first is space, space and more space. 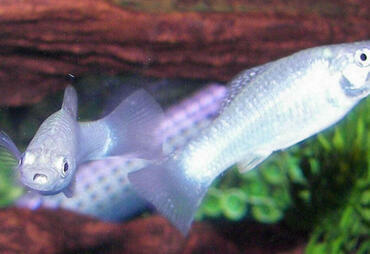 Secondly, go for diversity. 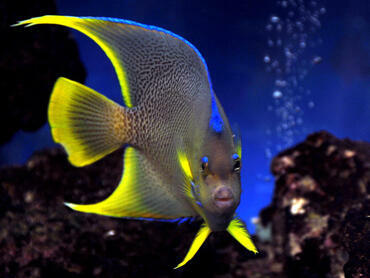 An Angelfish is less likely to have a run-in with a Clownfish than with another Angelfish. 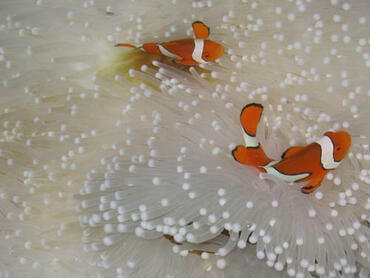 The third is not to mix the littlies with the really large ones. 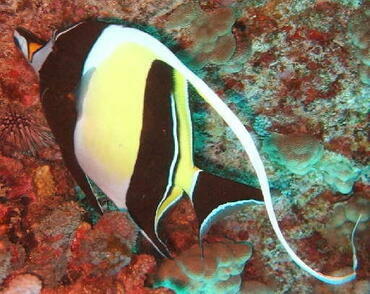 All fish are predatory to some extent. 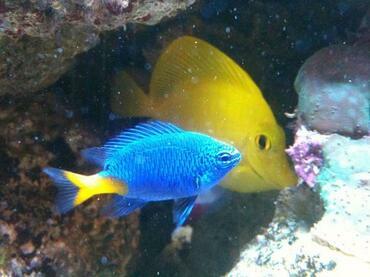 This means that a small fish will become food if it can fit into the mouth of a bigger fish. 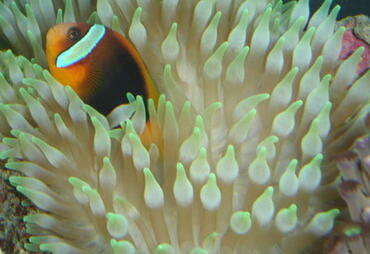 Habitat Compatibility - Compatibility does not only relate to the ability of fish to peacefully co-exist. 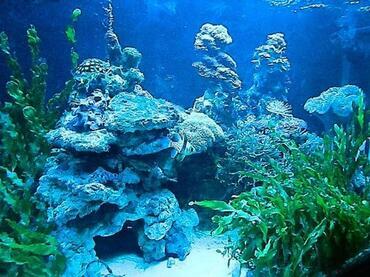 It also relates to the similarity between fish in as far as their feeding, lighting and habitat requirements are concerned. 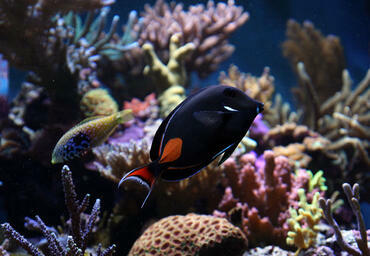 Though two species of fish may both live in coral reefs, they may come from completely different oceans. 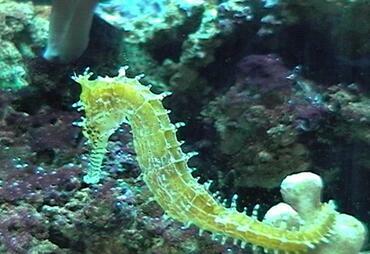 Thus, these two species may be adapted to different levels of water chemistry. 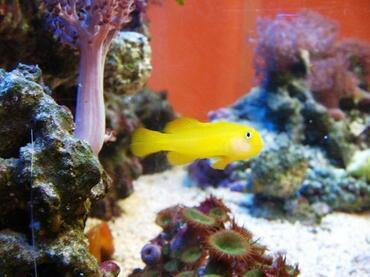 To ensure that your fish get along and thrive in your reef tank, you need to cater the conditions in the tank to the needs of your fish – this is easiest to do if all of the fish in your tank have similar needs. 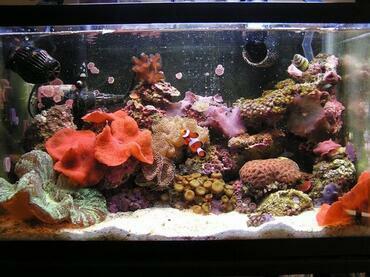 If your aquarium will contain corals, make sure that there is synergy between the fish and the corals' requirements as well. 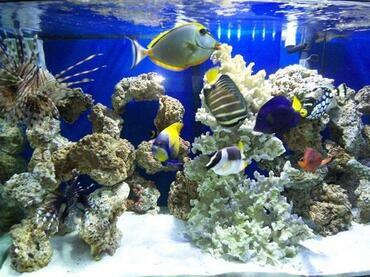 Compatibility - Check the compatibility of the corals you wish to use, both with one other and with the fish you intend introducing. 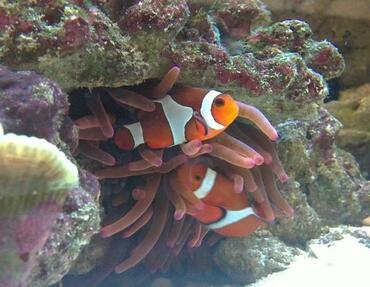 For example, if part of your plan is to introduce anemone to give safe haven to your clownfish, do bear in mind that anemone eat certain other species of fish as well as shrimps. 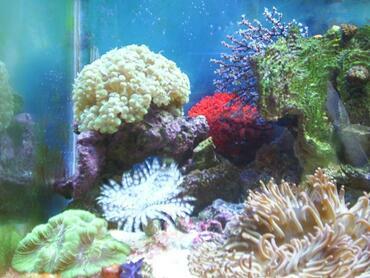 Space - Offer each coral sufficient space within which to thrive. 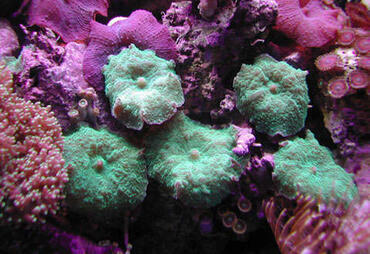 Like any other sea creature, coral will become aggressive if competition is perceived. 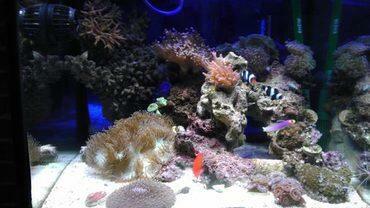 When introducing soft coral, leave a clear space of approximately 3" around it. 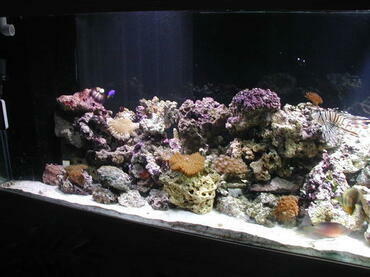 Hard coral, on the other hand, will require at least 6" of clear space around it. 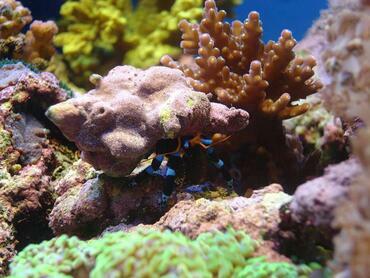 Tip over potential - use epoxy to keep unattached coral in place when you first introduce these, otherwise it may tip over onto a neighboring coral, burn and die. 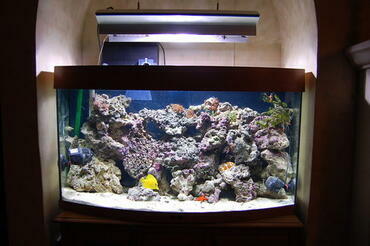 Lighting - this plays an important part in photosynthesis. 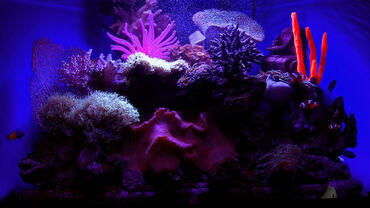 Different corals have different lighting requirements which should be thoroughly researched. 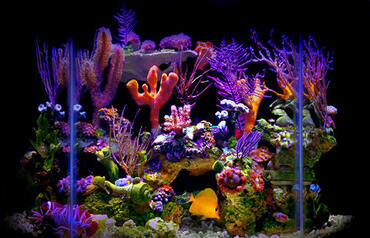 To achieve optimum beauty, it is better to select corals with compatible lighting needs. 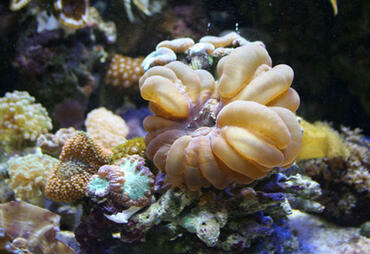 Current - corals rely on the water movement around them to help keep them clean. 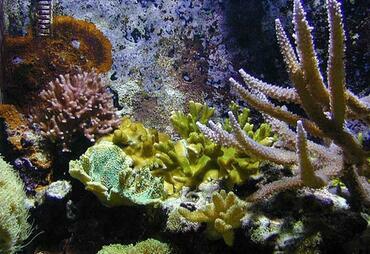 Also bear in mind that different corals have different current requirements. 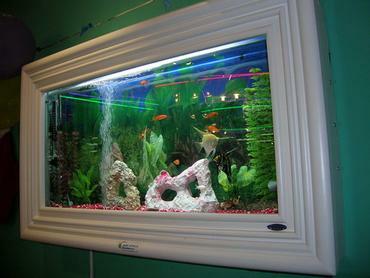 Powerheads or a similar source of water movement should be installed to create current. 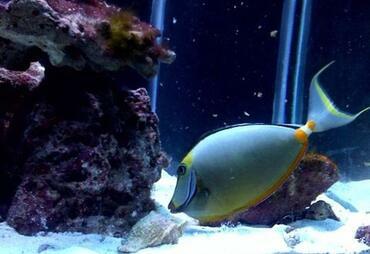 These factors, together with placement, will be the difference between success and failure. 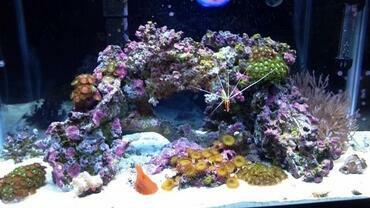 Bear in mind that the corals should only be introduced to your saltwater aquarium after the live rock has cured completely and the aquarium is set up with all other equipment and filtration systems running smoothly. 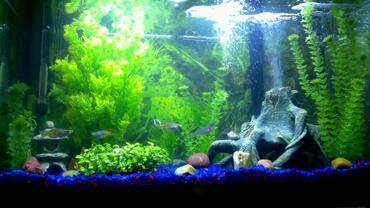 Give the tank at least 2 weeks to run without fish so that it can “cycle” – this refers to the establishment of the nitrogen cycle in your tank. 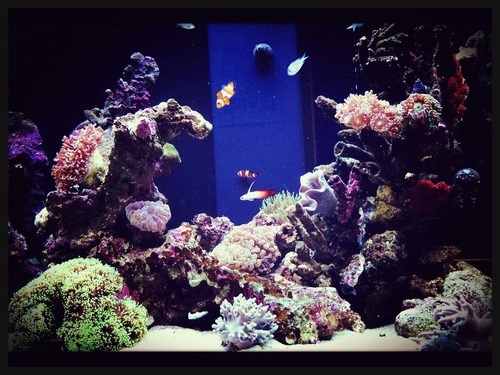 During these first few weeks your tank will become colonized with beneficial bacteria that will help to break down waste and convert harmful toxins into less harmful substances. 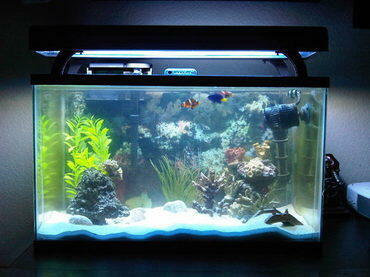 If you introduce your fish before the tank has cycled, they may overload the tank which could result in reduced water quality and toxic ammonia levels. 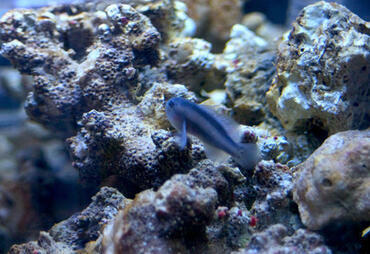 When you then start adding fish to your tank, resist the temptation of introducing more than two fish every two weeks. 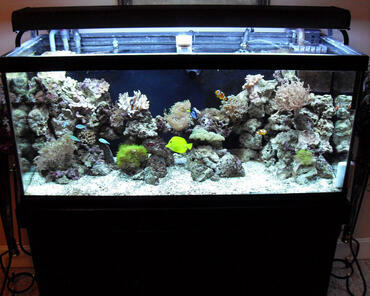 Your tank will need this time to adjust to the additional biological load. 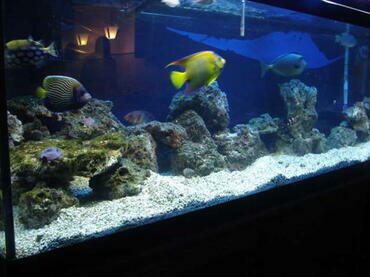 It is also best to add the hardiest fish first and to save the most sensitive species for last. 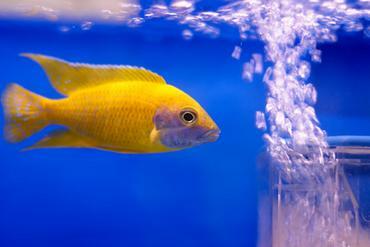 When you do introduce your fish, do so slowly – float the bag containing your fish in the tank and add small amounts of tank water every 15 minutes or so in order to help your fish adjust. 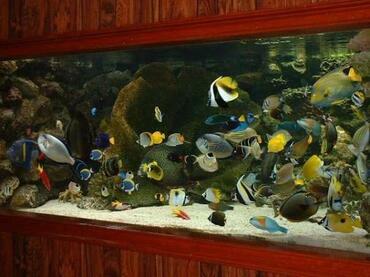 By now you will have a general idea of which fish and invertebrates you can stock and how many of these will safely fit into your tank. 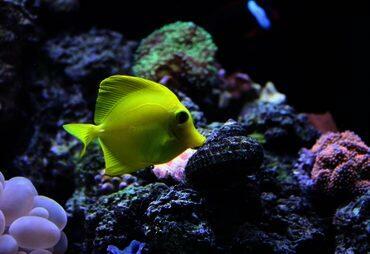 Remember to include factors such as price, availability, hardiness in your decision making process. 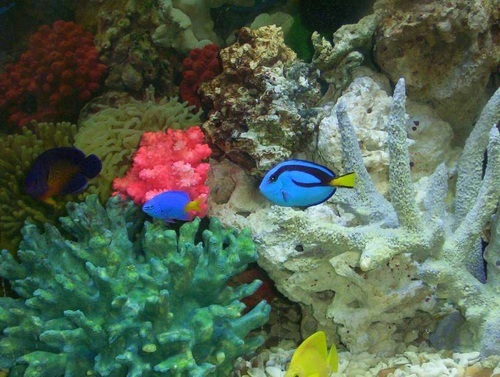 It would also be worth your while to pay a visit to a pet store where you can have the opportunity of looking at your chosen corals and fish in a real life aquarium setup.